Leaders in Landscaping Services for the Chicagoland Area since 1999. Since 1999 R&L Landscaping, a family owned business, has served the Chicagoland suburbs of Naperville, Hinsdale, Oak Brook, Downers Grove, Plainfield, Clarendon Hills, Burr Ridge, Darien, Woodridge, Westmont, Lisle and many more surrounding communities. 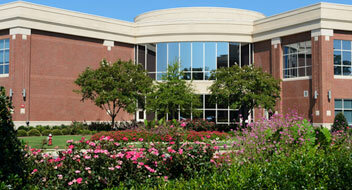 R&L Landscaping has been providing high quality landscape services to the Chicagoland Area since 1999. For over 18 years, our full service approach offers our clients the benefit of receiving prompt professional services from installation through maintenance. Our residential and commercial divisions offer a full range of landscape design, landscape installation, hardscapes including patios/walkways/retaining walls/driveways, summer kitchens, water features, outdoor landscape lighting, monthly lawn and horticultural maintenance programs. With full crews working in each of our divisions, our full-service approach offers clients the benefit of receiving prompt, professional services from installation through maintenance, all with a single call. 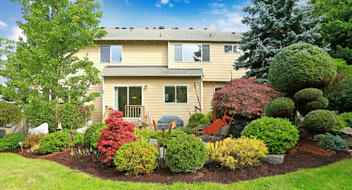 The mission of R&L Landscaping is to ensure that our customers receive the service they deserve and desire. We value our customer’s relationships above all else. With a wide range of offerings, we look forward to continuing our tradition of providing top quality services, exceptional individual attention and unrivaled customer satisfaction. R&L Landscaping is a local, family owned operation waiting to serve you in Naperville, Hinsdale, Oak Brook, Downers Grove, Plainfield, Clarendon Hills, Burr Ridge, Darien, Woodridge, Westmont, Lisle and many more surrounding communities. Check out our work on our website or call us today for your FREE ESTIMATE at 630-514-4798. Awesome Company did a great job on my yard brining it back to the beautiful place it was when I bought it. Owner was very personable and was always on time and very courteous. We serve residential and commercial customers, big and small. Call us at 630.514.4798 to request a quote or click below to send us an email message. We will reply as soon as possible.